What is ‘dirty’ vegan food – and why is it so popular? According to the Vegan Society, veganism has increased by 360 per cent in the last decade; there are currently half a million vegans in the UK, a further million vegetarians, and half of those vegetarians are thinking of going fully vegan. The Vegan Society go on to say that they predict there will be at least a million vegans in the UK within the next ten years. When many people think of vegan food they presume boring, bland and beige, however that’s no longer the case. With an array of meat free alternatives on the market, vegan food can now be flavour-packed, colourful and satisfying. 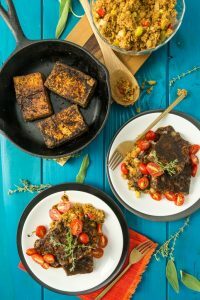 One of the current food trends that is popular with vegans is ‘comfort’ vegan food, or as some refer to it, ‘dirty’ vegan food. Think cauliflower fried ‘chicken’, seitan ‘ribs’, mushroom burgers, dairy free gelato and aubergine buffalo hot ‘wings’. The reason for this demand is because vegans (91 per cent according to the latest Flavour Forecast report from Lion sauces) are struggling to find ‘dirty’ food-to-go options. 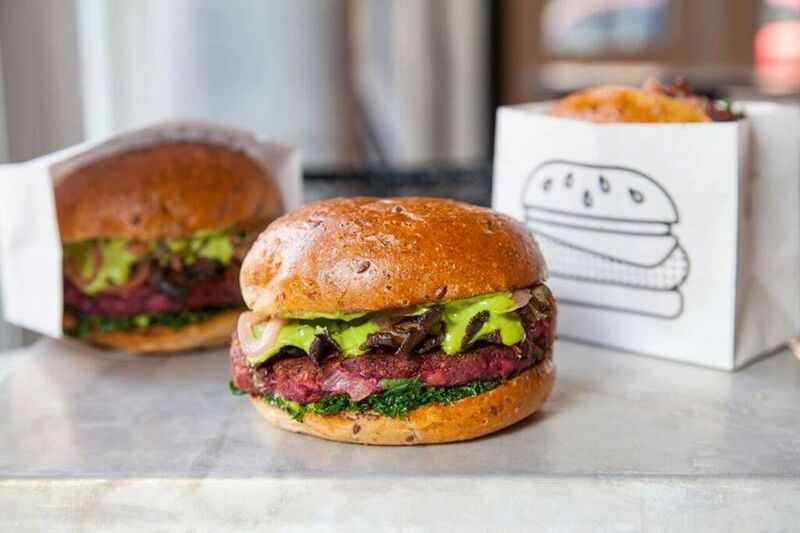 According to the MCA Menu and Food Trends report 2018, the demand for vegan burgers has increased in popularity, making up almost 9.3 per cent of vegan main courses ordered in restaurants, and they predict that vegan burgers will continue to be popular into 2019. Vegan burgers are generally made from a mix of vegetables and beans. Chef Jamie Oliver’s recipe for vegan burgers consists of chickpeas, sweetcorn and a selection of spices. Alongside vegan burgers, one of the most popular vegan fast food trends now is pulled jackfruit. When roasted, jackfruit has an extremely similar texture to pork and when present on a roll with barbeque sauce added, the similarities to a traditional pulled pork roll are striking. Quick service restaurant KFC are recognising the demand for vegan fast food and are set to introduce vegan options to their menu. 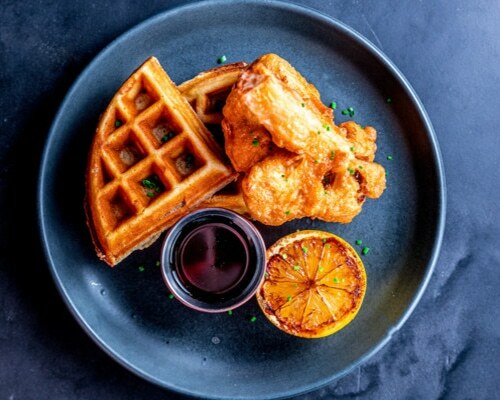 They are currently working with chefs and scientists to create a vegan friendly alternative to their world-famous fried chicken. In July 2018 they announced plans to test the faux chicken with customers later this year. If successful, it could launch the product in 2019. 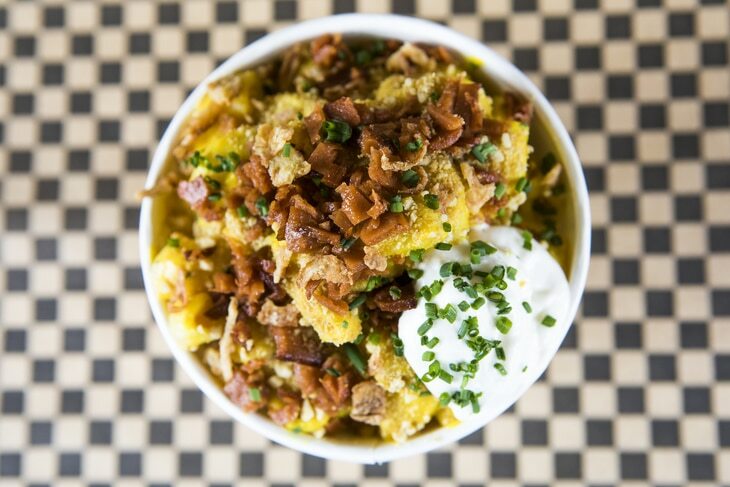 In March 2018, casual dining restaurant Dirty Bones (Shoreditch, London), who are notorious for their fried chicken and American inspired plates, announced a new vegan concept called Dirty Vegan. Dirty Vegan takes place twice a month and offers those on a plant-based diet the opportunity to eat ‘dirty’ vegan food such as cauliflower ‘chicken’ & buckwheat waffles, a cashew and almond milk mac & cheese, and plenty of other meat-free treats. In London you can try a wide selection of vegan fast food at the famous vegan quick service restaurant ByChloe. 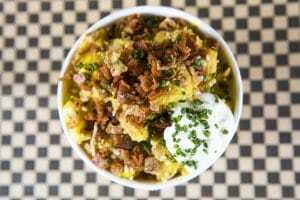 The restaurant, based in South London, aims to share delicious, wholesome, plant-based food that fuels and energizes without compromising flavour, taste or satisfaction. On the menu they have a variety of dishes from, cauliflower mac n cheese and the guacamole burger to tempeh burgers and quinoa tacos. If you are considering offering vegan food as a takeaway or delivery option for your customers, we have a variety of packaging options to suit your needs, whether you require a leakproof container to hold pulled jackfruit or a bagasse container to carry a vegan burger. To find out more about our different types of food packaging visit our Food Packaging e-brochure. If you would like any further information, please contact Bunzl Catering Supplies today.